This week is Geek Week on YouTube, and tonight I’ve taken a break from listening to Proms (partly because iPlayer wouldn’t load) to do something a bit different. I tend not to fangirl a lot, but with Geek Week (especially the Thor: The Dark World trailer), I’ve struggled not to. I’ve mentioned in a number of my film reviews that I’m a huge fan of the Marvel films, and therefore I’ve ended up looking a bit like Tom Hiddleston in the below gif. 1. Thor: The Dark World Trailer. I’m starting with this because, without a doubt, this is my favourite thing that has been released for months. I’ve been hanging out for this trailer since Comic-Con, and (for those who research these things), you’ll know that this is slightly different from the trailer shown at Comic-Con, as a certain scene has been removed. I stayed up til 11pm last night (9am US Eastern time) to watch this. I watched it about three times, then had to go to sleep (I had to be up at 7). This evening, I’ve been able to watch it a few more times, and have trawled through the ‘Thor 2’ tag on Tumblr. Love. Love. Love. Roll on October 31! 2. Sorted Food “Super Geek”. I’ve mentiond before that I love the boys at Sorted Food. In their weekly Fridge-Cam this week, they decided to determine whether or not Ben was a geek. Spoiler! Yes. However, Ben quickly reminded Mike that he, and the other boys, are geeks too, really. But Mike says that really, being called a geek these days is quite a compliment. 3. Doctor Who on BBC America. Matt Smith and Jenna-Louise Colman count down the top 10 Doctor Who trivia facts for BBC America, as well as there being a lot of other content on the Doctor Who Channel. A trailer (or even the teaser!) 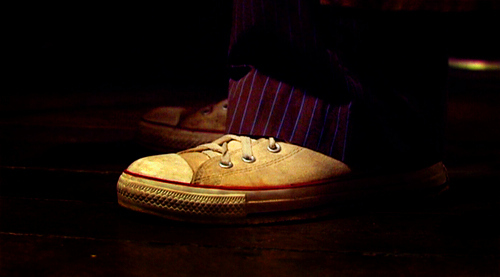 for the 50th anniversary special would be nice, but we’re not going to get it this week. Oh well, there’s enough goodness going around at the moment. 4. Will’s War. Surprisingly, Will’s War isn’t specifically Geek Week related this week, as Will just answers some viewer questions, but if you’re a regular watcher of his channel; then this is one of his funniest videos to date. As far as geekiness goes, it doesn’t get much better than Will’s War. My favourite video of his would be “Loki: The Secret Hero?” (for obvious reasons), but I love seeing what Will talks about each week, mostly as I always fully agree. 5. Super Cafe. Again, this isn’t part of Geek Week as it was posted a few weeks ago, but the How It Should Have Ended cartoons have taken on a life of their own, and Super Cafe has become a spin-off from the orginal HISHE clips. They’re very clever and very funny. 1. Courtly Cats. Although these amazing pictures look like oil paintings, they were actually created digitally by Eldar Zakirov. I love a cat in clothing (think Louis Wain), and these six fellows are fantastic. 2. Sunny winter days. It’s supposed to rain for the next week now, but we had some lovely sun this week. The photo above was taken on Monday around 1pm. 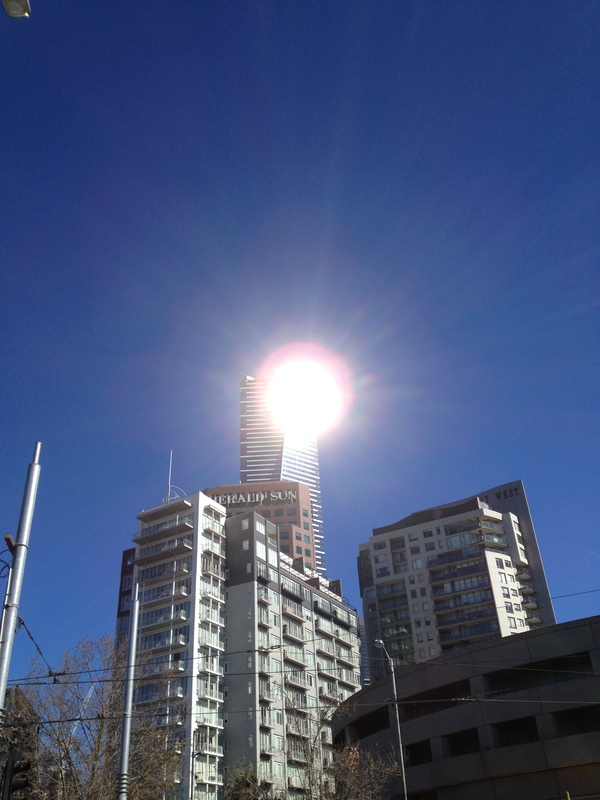 The tower with the sun reflecting off it is the Eureka Tower, the tallest building in Melbourne and (as of May 2013) the 12th tallest residential building in the world. The Eureka Tower has a big gold bit at the top (hard to explain), which reflects the sunlight like nothing else, as seen above! 3. Charted cheese wheel. I actually came across this a couple of weeks ago, but I’d forgotten about it. It’s something I hadn’t thought much about, but to see the cheese in a wheel like this is really handy! 4. 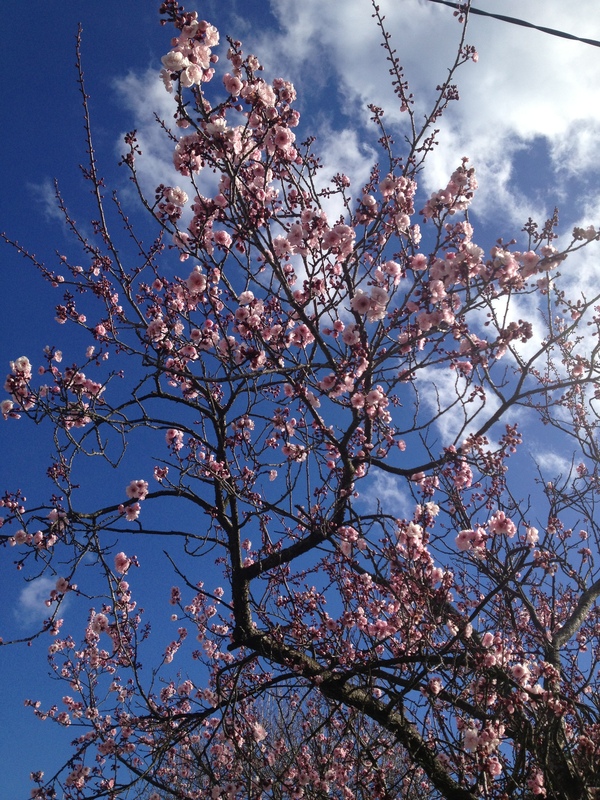 Early blossom. It’s only just August, but a lot of blossom trees are flowering. It’ll be another couple of weeks before the blossom is in full-swing, but it’s very pretty to see the trees beginning to show life again. 5. 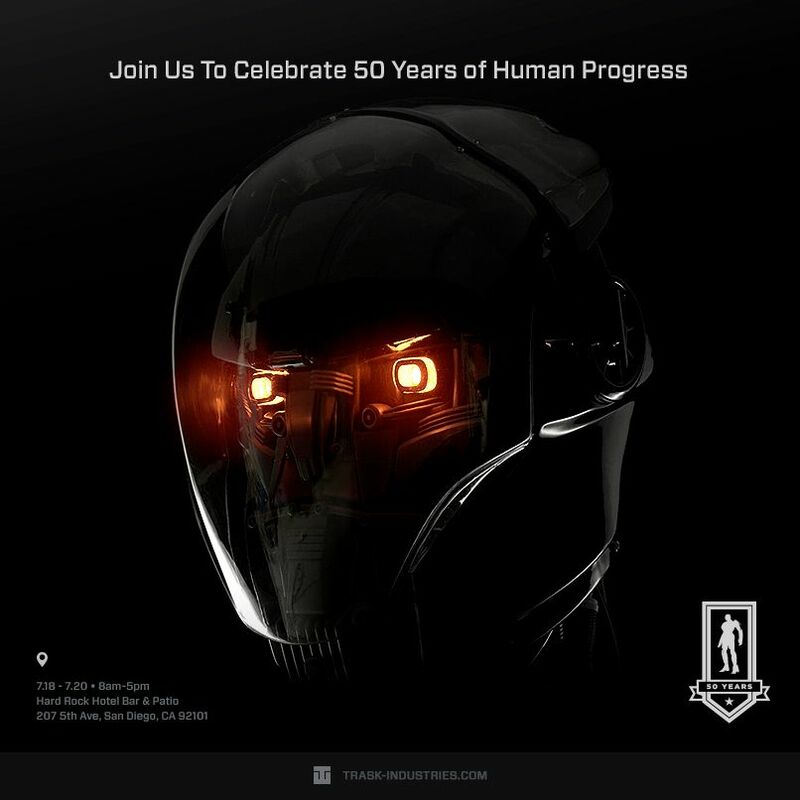 Trask Industries. This full website has been set up in preparation for next May’s X-Men: Days of Future Past. At the end of The Wolverine, we see a Trask Industries poster in the airport. I know a lot of exciting films are going to be out before the next X-Men, but certainly makes me excited. Summer Lovin’: We may be in the middle of winter down here in Australia, but in the northern hemisphere, summer is just kicking off (or trying to in the UK, anyway). My favourite chefs have all recently posted videos and recipes featuring fabulous summer recipes, including Jamie Oliver’s 45 second ice-cream and recipes for summer drinks by Sorted Food and Rachel Khoo. All very seasonally inappropriate for me at the moment, but they still make me happy (not to mention all the Pimms! Here’s looking at you, Mr Oliver). Owl at Paddington Station: Yesterday (Monday 24/6) they had an owl at Paddington St, London, to keep the pigeons away from a giant Heathrow Express cake. I know a few times here in Melbourne they’ve used eagles at big football or cricket matches to keep the seagulls away, but owls at train stations are pretty cool. Photos by Matthew Skinner. Bad Harry Potter humour: I found this on my lunch-break at work, and it made me laugh. No apologies for the bad sense of humour! This can be found here. Graeme Murphy’s Swan Lake: This is one of the major pieces in The Australian Ballet’s repertoire, and it being performed in Melbourne for the first time in five years. The show opens this week, and I’ll being seeing in on 1 July. The media department of TAB have been tempting ballet goers with galleries of photos from the show, and highlighting the stunning costumes. July Camp NaNoWriMo: Cabins have been sorted, and pep-talks are being sent around. The month of literary madness is getting closer. And it’s totally free to join/take part in (though donations are most welcome)! 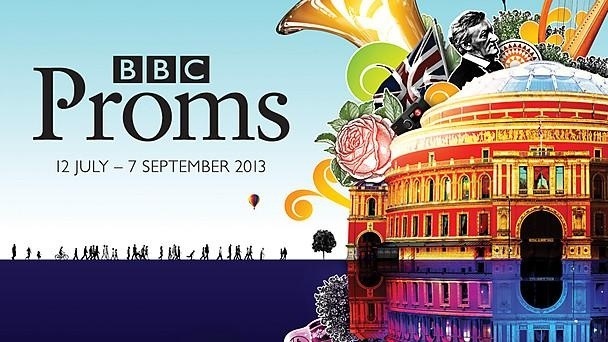 BBC Proms: First Night of the Proms is just over three weeks away, and though there’s not much new content over on their website, it makes me very excited to look there. Other than Christmas, Proms is my favourite season of the year. Also, I love what they do with the logo of the Royal Albert Hall each year. Open House Melbourne: OHM is on again on July 27/28, and this will be my third year as a volunteer. I don’t know which building I’ll be stationed at yet, but last year I was at the Inter-Continental Rialto, and it was fantastic. This week, the list of the 111 buildings which will be open over the 27/28 July weekend was realised. Time to start making a list of places to visit! The Open House scheme operates all over the world, and I highly recommend getting involved with it in your city. And finally, I know it’s not realised until December, but the trailer for The Hobbit: The Desolation of Smaug is out, and it looks brilliant. 1815: The British defeated the French at the Battle of Waterloo (Napoleon vs. The Duke of Wellington). Huzzah! 1884: Edouard Daladier is born. Who was he? Prime Minister of France at various times throughout the 1930’s and finally from 10 April 1938 – 21 March 1940. Like all politicians, depending on who’s account of history you read, Daladier was either an alright chap, or a dud. 1940: Winston Churchill delivers his “We shall never surrender” speech, after the Evacuation from Dunkirk and the Fall of France. It’s probably one of the most famous and most important speeches ever written. I get shivers whenever I hear about it (or think about it, really). 1942: Paul McCartney is born. Yep, The Beatle. So I think, that for a day, June 18 has had some pretty amazing stuff happen on it. 1. Simon’s Cat. Simon’s Cat in the charming, and somewhat naughty cat who lives with Simon. The cat and the kitten is based on illustrator Simon Tofield’s four cats. Simon’s Cat and the kitten have featured in a few dozen short simply and beautifully animated videos, as well as having three full-length books and a range or merchandise. I first discovered Simon’s Cat in HMV in Oxford St, where I saw the book Kitten Chaos, and had to buy it. The behaviour of Simon’s Cat is some cheeky and wonderfully captures the spirit of all cats at their loveable naughtiest. I have an account on the Simon’s Cat Community, and photos of all our pets (past and present) can be found there. 2. The BobCats. Just a quick warning on the BobCats, they’re not entirely innocent. I don’t think I’ve ever laughed harder than when reading the BobCats comics. The BobCats (two domestic cats, both named Bob) work in an office and generally cause mayhem and mischief, while plotting the demise and general discomfort of their human co-workers. Along with the BobCats, The Oatmeal (Matthew Inman) has a large number of other cat-related comics, all equally humerous. 3. The Aristocats. As a kid, this was one of my favourite films, along with Peter Pan, Cinderella, and The Sound of Music. And I suppose that films that are that good, and that important to your childhood, you never really stop loving. With such show-stoppers including Scales and Arpeggios, Thomas O’Malley Song and Everybody wants to be a Cat (above), combined with beautiful classic Disney animation, and a story centred around cats, what’s not to love? Here are another three things that I like very much, and believe the world should know more about. 2. The Wonderful World of Disney. The Disney Channel is only available in Australia via Pay-TV, which we do not have, but my grandparents do. I remember so vividly watching the sequence below before a film began. It’s almost my childhood in a YouTube clip. It’s just so magical and wonderful and watching the clip makes me feel so warm and happy. They don’t make ’em like that anymore!